When Iva Bittová takes the stage, she brings the audience into an enthralling musical universe. For the listener, the space she creates is "so intimate and personal you can almost feel her breath on your ears," according to CMJ. Performing solo, the Czech composer and improviser extends the range of both the human voice and her violin. Singing, bowing, plucking, and dancing simultaneously, she evokes everything from gypsy dances, opera, and avant-garde jazz to birdsong and animal cries. New York Magazine says, "Her sound is invigorating, urgent, and also soothing; it is a fusion of Old World and new-music sensibilities, infused with the spirit and language of Czech, Slovak, and Moravian music." Her two most recent recordings demonstrate the expressive range of her work: this year's Iva Bittová is filled with delicate improvisations, and last year's Zvon features her voice, backed by the Prague Philharmonia, in orchestral arrangements of her compositions. She's collaborated with Bill Frisell, Bobby McFerrin, Bang on a Can All-Stars, and The Calder Quartet, won dozens of awards for her compositions, and performed all over the world. 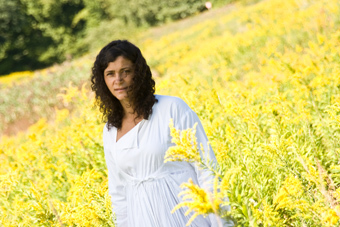 For a chance to hear a modern musical visionary, catch Iva Bittová at the Freight.